Cinnamon is a powerful spice that has been used around the world to flavor culinary dishes, but many patients are surprised to find it in their custom herbal prescriptions that I prescribe. 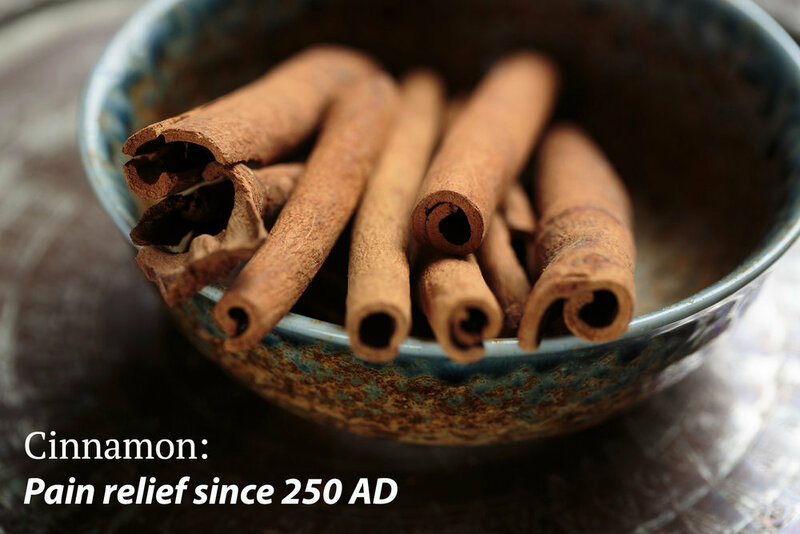 Cinnamon is an effective medicine and can be especially useful for relieving pain, and science is finally catching up and proving what the Chinese have known for 3000 years. My clinic experience and studies indicate that cinnamon specifically helps to relieve muscle soreness, PMS pains, and aging pain symptoms, like arthritis. It also increases blood circulation and increases the body’s ability to repair itself after it’s been damaged. As an added bonus, when it comes to defending the body from illnesses, cinnamon is a natural with its anti-microbial, anti-biotic, anti-fungal, and anti-viral properties. The immune-enhancing abilities of cinnamon are found its essential oils. Protect brain cells from mutation and damage. Reduce levels of total cholesterol, LDL cholesterol, and triglycerides. Lower blood sugar levels and improve insulin sensitivity. Protect against DNA damage and cancer growth. So the next time you're cooking, feel free to add a little more cinnamon to your dish, and don’t be surprised when you see it in the next prescription I customize just for you.